“Like a French Rhône, only good!” were the first words out of my mouth. 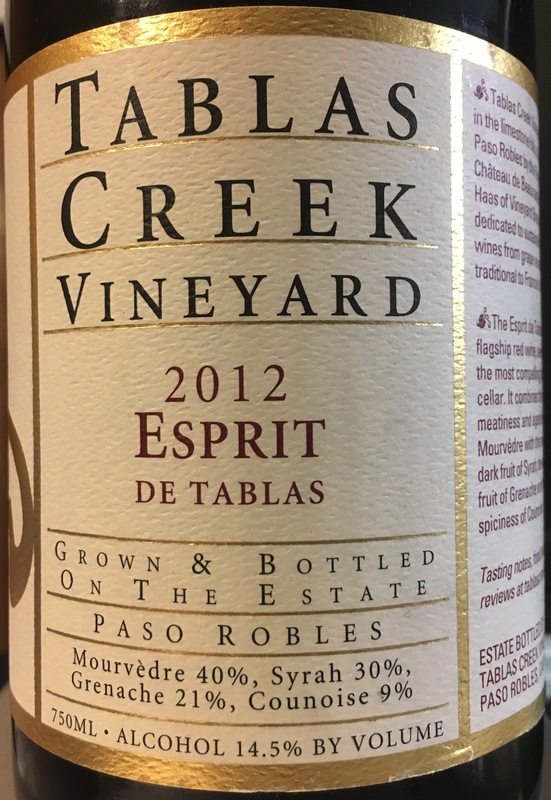 The Tablas Creek 2012 Esprit de Tablas opens with aromas of smoke, leather, and black cherries. The palate is black raspberry, cassis, black tea, and sweet spices. 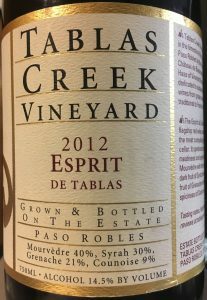 A nice finish, with silky tannins. You can’t buy this from the winery, even though it’s listed in their library. A quick search of several wine retail websites produced zero hits. Wine.com estimates the retail at around $55. If you go looking and find a place that has some for sale, please let us know.